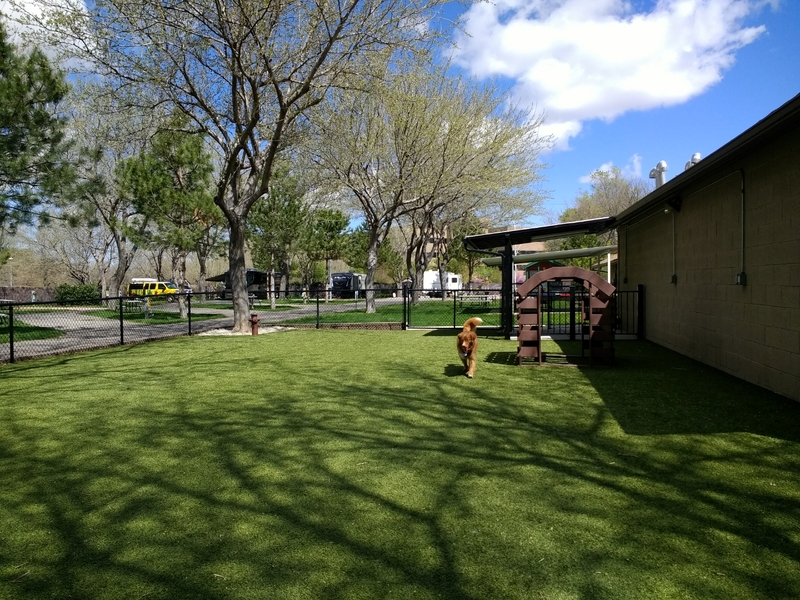 As you can see, the K9 park at the Salt Lake City KOA meets with Jamie’s approval. And Kinnon, too. In addition to the dog area, there is access to the walking trail along the Jordan River. We have stayed here a couple of times before, and enjoy the relative quietness for a park in an urban setting. A light rail station is a short five minute walk. What KOA does at this park is separate the long-term sites from those staying a few nights or so. The sites are relatively wide and level. Tomorrow we’ll leave for Moab, with breakfast at a Cracker Barrel and a stop at Columbia and Eddie Bauer outlets in Lehi. 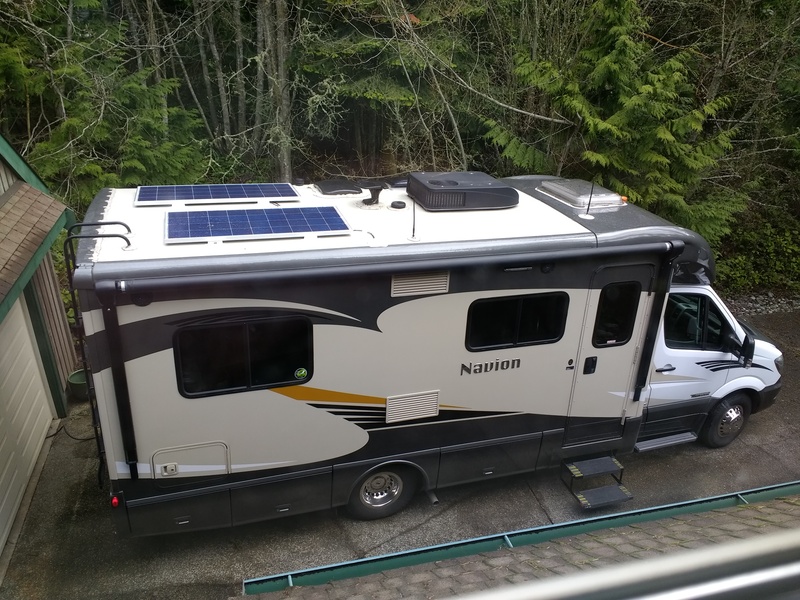 We then will try our hand at boondocking and using our new solar system. Southern Idaho is flat, but not level, gaining about 2250 feet between Fruitland on the West and Pocatello on the East. In between some 13 billion potatoes are harvested each year. The drive eastward was uneventful, which continues to be a good thing. 19 mpg, but flat has its advantages. We stopped at Three Islands State Park to give the pups some grass time and discovered an absolutely wonderful campground and Oregon Trail interpretive center. Lava Hot Springs has a great place to soak, a series of pools with increasing temperatures from warm to hot. Tomorrow we’ll walk the short distance to town to enjoy the waters. Our second day was a real challenge. The warning lights we ended the first with hadn’t disappeared, so we called MB in Lynnwood and headed north. Traffic was terrible, hence my attribution “The Dark Side.” The drivability reduced to full “limp mode” four miles south of the dealer, so we were lucky in the stops and goes. Scott at Mercedes-Benz was an angel. He had received my message that we were on the way in and was ready for us. Four hours later we were back on the road. 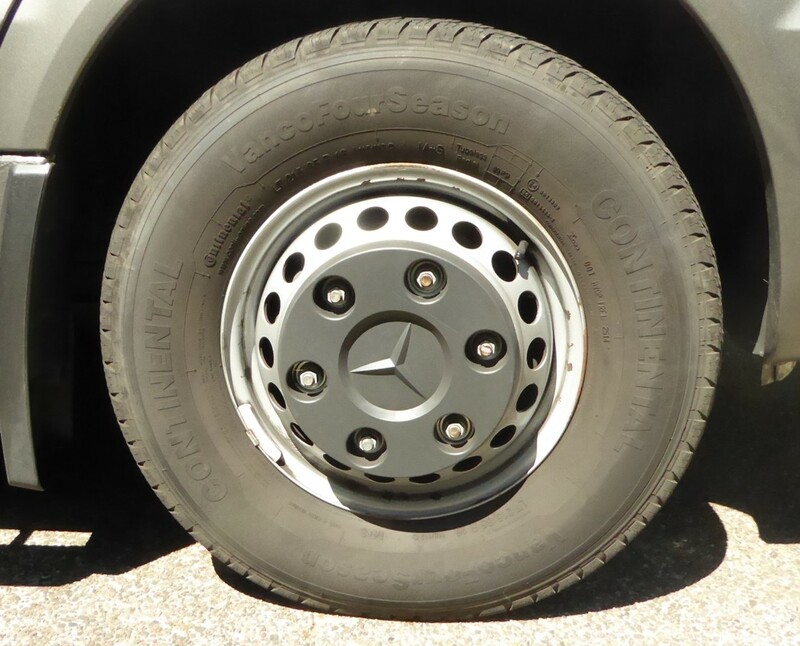 A rear wheel sensor was replaced at no charge. We ordered in some Thai for lunch and scores of folks wanted to pet the red and white puppies. We drove a short way to Dash Point SP for the night rather than trudge through Tacoma traffic and had a decent drive to the KOA in Cascade Locks today. The rig is cruising as it should. Kinnon and Jamie are a joy to travel with, calm and polite with each other. We’ve been getting pics of Allie and it’s obvious she’s have way more fun across the street than putting up with the Tollers! One of the fun things about long trips is the anticipation and planning. Seeing icebergs up close is a bucket list item, but there is so much more to see and do between Port Townsend and Twillingsgate. Our house has it’s sitter and our elder dog Allie is staying with our blessed neighbors across the street. Clothes for hot springs and the cold and windy are packed. Our two Tollers have their own gear and food and crates. 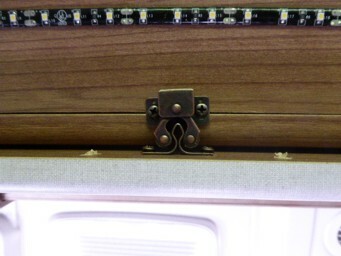 We have the additional option of 300W of solar this trip, so we’ll have the flexibility of dry camping. I’m not sure we’ll try parking lots, but there are many National Forest and provincial campgrounds to explore. This will be our fourth or fifth long trip since 2010. We’re looking foward to visiting friends and family and finding the two lane roads. Our first day will be short and bring the joy of seeing our twin granddaughters at Millersylvania State Park. A very late posting from our Redwoods trip last year. We got caught in the wildfires, but did visit a good friend in Eureka and loaded up with Marionberry goodies in Bandon. Devils Lake SP, 7OR A classic GMC.